Let's run a little test. Imagine the way people interact with your brand. What thought hits our mind first. What expectations are created the moment we see your name or logo? Take a moment to imagine yourself holding this bottle. Can you feel the contour? Open it up. Are you able to hear the sound, to smell it fizzing slightly into the air? Can you taste it as you tip the bottle and take drink? This is a very common demo at our presentations. It's amazing to see entire audiences begin nodding their heads together, smiles forming as the experience unfolds. The label is more than a label, it illicits an experience. We all feel it together, and it's not even real. The funny thing is, we actually have no idea what's inside the bottle. The bottle isn't even real! It's just a picture. Anything could be inside. But the label generates a set of expectations. Our imagination begins to fill in the gaps, running through expectations to generate a real experience. The label triggers us to create real feelings as we envision ourselves opening it up, but our own imagination is doing all the work. What do you taste and smell as you open this bottle? Not quite the same is it. This is where laughter always breaks out. Because we still don't know what's in the bottle. The bottle isn't even real, but our expectations are now completely transformed. And it's the label that is most valuable. The label is more valuable than the contents. We aren't buying a beverage, we're buying the expectation of a beverage. We're buying the experience promised by our own imagination. And pulling value out of thin air isn't easy. 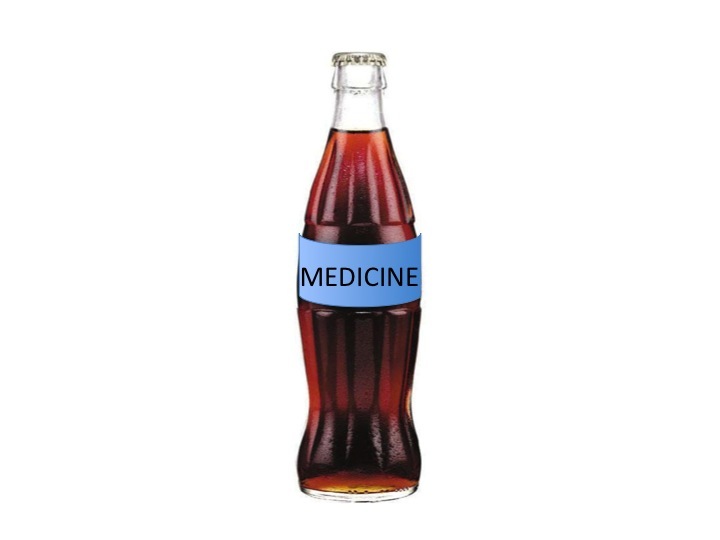 Coke has spent billions exposing us to this label, packing it with stories, with meaning. Combine these stories with our own past experiences, the many times we've opened a Coke ourselves, and the label becomes tremendously powerful. The label and immediately brings us internal smiles, snow, polar bears, ice, family, friends, and more. We can practically feel the world shifting as we "Open Happiness".